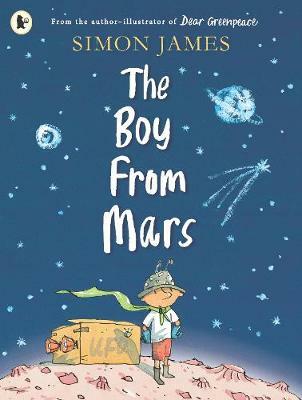 The heart-warming story of a little boy who misses his mum from award-winning author-illustrator Simon James. The day that Stanley's mum had to go away, he decided to go to Mars. In his place, a not-very-well-behaved Martian arrived. He looked just like Stanley, but he wouldn't eat his vegetables, he wouldn't clean his teeth and he certainly didn't play nicely in the playground. Dad's not sure what Mum will think when she gets back. Will the martian still be there, or will the real Stanley get back in time?